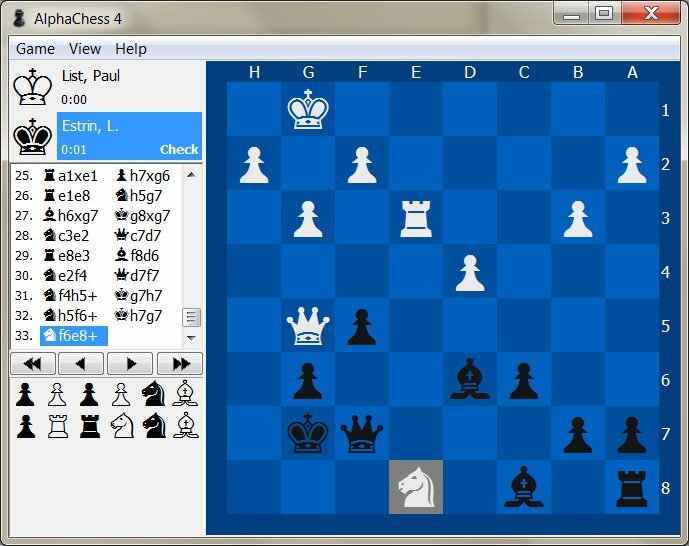 computer chess program. It offers several advanced fonctionnalities while still remaining intuitive and easy to use which makes it the perfect solution whetheryou want to have fun with friend or hone your skills by playing against the computer. Three play mode are available, play a local game on one computer by exchanging the control between you and your adversary, play an online game by connecting to the new dedicated server which allows you to join or observe any created game or play against the computer's artificial intelligence. - Play against other players online for free or observe ongoing games. - Play against the improved artificial intelligence to practice. - Resize the game window on the fly or maximize it. - Customize the game board by choosing a color theme or create an entirely new one. - Customize the game board by choosing a chess set which represents you. - Customize your interface by showing or hiding the players information, game history or captured pieces panels. - Save your game and load a saved game to review or continue it. - Import or export games with other softwares or websites thanks to the PGN standard. - Navigate through a game's move history in real time, even while you are playing. - Use the move validity indicator to get out of a tight spot or to learn to play.